Is your child struggling with Chinese? Learning Chinese can be as easy as ABC with KidStartNow's award winning programme. Find out how we transformed 1000+ kids who previously hated Chinese to loving and excelling at Chinese. PLUS: We're offering a special 30 Day Moneyback Guarantee for September 2017! I WANT MY TRIAL CLASS! ONLY FOR FIRST-TIME STUDENTS: Trial Class @ $10! We are located 2 minutes from Bedok MRT, at 209 New Upper Changi Road, #03-649, S(460209). "K has been attending KidStartNow for a few years now. She wasn't great at Chinese to begin with - so it's amazing how comfortable she is with the language now. She also counts Chinese as one of her favourite subjects! “My son’s SA2 results really exceeded our expectations and he topped Feng Shan Primary School, all thanks to KidStartNow!" "Tyler was previously clueless about Chinese, but thanks to KidStartNow, he recently scored full marks in his Chinese test in school." Founded by EDB Scholar & Top Cornell Graduate, Dan Tang. 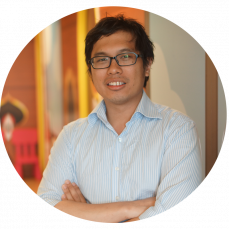 I’m Dan Tang, the founder of KidStartNow, an award winning Chinese enrichment centre. 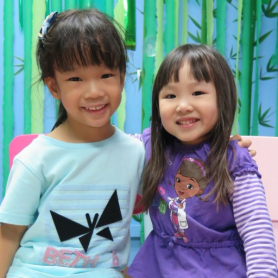 We are highly recommended by 20 parent bloggers and named the “Enrichment class that best nurtures your child’s interest in Chinese” by Young Parents' Magazine. Interesting fact: 90+% of our parents continue with us every term vs 70% for most other enrichment centres. 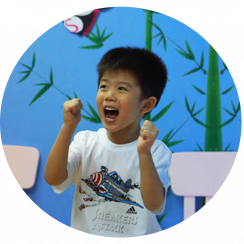 Our proprietary method makes learning Chinese as easy as ABC, and have transformed 1000+ kids from hating Chinese to loving and excelling in Chinese. How do we do this? We're laser-focused on cultivating our students' love for Chinese, through a combination of gamification and interactive learning techniques. I myself used these very techniques to earn 4As for A-levels and win a government scholarship to Cornell University, where I graduated with a 3.8/4 GPA. When a child is engaged and motivated in learning, he or she learns up to 4X faster. Using these principles, I started KidStartNow to help the next generation of kids excel while loving to learn. Read on to find out how. Studies show kids learn up to 4x faster when they are engaged and motivated. Forcing kids to do endless flashcards and exercises without making the lesson appealing will make kids hate Chinese and achieve poor results. 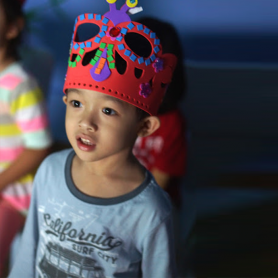 Our curriculum combines great teachers, engaging digital media and fun games to make learning Chinese fun and effective. Our students love coming for class! To succeed, your child needs to believe that they can excel in Chinese. We use a combination of Growth Mindset & Gamification to motivate kids to believe and work hard. Kids are given digital coins when they participate in class or do homework, which can be exchanged for rewards. This gamification system motivates students to fast-track their learning, with similar techniques employed by leading US universities such as New York University, University of Michigan and Indiana University. Your child is unique, so why should they learn the same way as everyone else? Using Singapore's first artificial intelligence system for Chinese, we track your child's strengths, weaknesses and learning styles. We then tailor our teaching accordingly to ensure your child learns faster and easier. 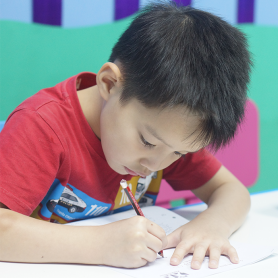 We also provide parents with monthly reports on your child's progress, areas for improvement, and actionable tips on how to help them continue learning Chinese at home.